With that, on Friday, November 10, El Tri makes its first trip to Brussels to take on the Belgium national team, a side who are deep enough with midfielders and attackers who play with intelligence and maliciousness when they have the ball, and the range of passing, shot, tackling, and decision-making that can make life difficult in defense, even with the best of defensive plans. It is also a Belgium side who was the first side to qualify for the 2018 FIFA World Cup out of UEFA’s qualification tournament. 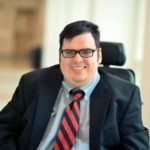 The list of intelligent, technically elite, heavy-hitter players that El Tri can expect to face on Friday reads off like a “Murderer’s Row”–in attack, Romelu Lukaku, Michy Batshuayi, Eden Hazard, Dries Mertens, and Thorgan Hazard, and in the midfield and defense, Youri Tielemans, Kevin De Bruyne, Radja Nainggolan, Thomas Meunier among them. Each of those players that Mexico might see, and even of once-capped Christian Kabasele and, Laurent Depoitre would be a challenge to deal with in of itself. But ultimately, while Mexico might find itself in Pot 2, it will still have to get through at least one team, that on paper and in the eyes of much of the footballing world, appears better than El Tri. Belgium is not necessarily an opponent Mexico faces all that much. In the entire history of the two national teams, El Tri and Les Diables Rouges have only faced each other six times, the last of which was at the 1998 FIFA World Cup. Historically, El Tri also have the upper hand, going 3-1-2 against Les Diables Rouges. That edge might not matter so much to the players at hand, because most were small children the last time both teams faced each other. And a lot has changed, particularly for the hosts. And in the match, there will be the expected friendly disorganization jitters. There may be mistakes on buildups, in pressing situations, or on the mark with particular players not familiar with playing each other. 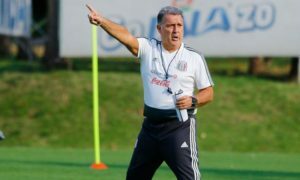 While many will think mistakes will lead to the obvious rotaciones criticism of Mexico manager Juan Carlos Osorio or some players losing their place in the World Cup squad, what will matter most will be how the players combine, and understand how to cover each other and play for each other in the various attacking, pressing, passing, and defensive situations. 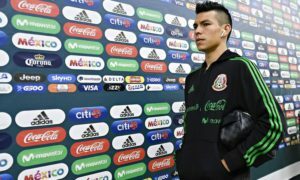 Among the players who may be spot-shadowed in particular are relative El Tri debutantes Omar Govea and Uriel Antuna, both who ply their trade in “the Low Countries.” Both are relatively unfamiliar with the national team regulars. Antuna, who plays his football with FC Groningen in the Netherlands, has yet to see regular minutes with the first team, could be star-struck in his role playing against more than just an ordinary first-team player. Govea, who plays his first team football in Belgium, knows part of the crowd who might show up at the King Baudouin Stadium, he has yet to face most of the players in the home side managed by Roberto Martinez. For the younger, Mexico-based contingent of the squad, the match in Belgium is a simulation of the challenge they would face when they would face European opposition. In an interview with ESPN Mexico, former Club America assistant manager Leo Beenhakker described some of the contrasts those players would face. 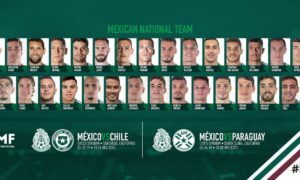 The Mexican players who have not played on “The Old Continent” might have to adopt to a group of very good players who play pragmatically, and at times more directly. But at the same time, as Beenhakker noted, El Tri players have historically played with a patience and particular kind of football vision that many in Belgium might not traditionally be accustomed to, even though Radja Nainggolan, Romelu Lukaku, and Kevin De Bruyne could rival if not exceed the ability of Hector Herrera, ‘Tecatito’, and Andres Guardado to use their passing to break down defenses. The kind of match that will transpire from Brussels will not be known until the match itself. It kicks off Friday, November 10 at 2:45 PM EST (UTC -5) and can be seen on UniMas, UDN, and the streaming platforms that carry both networks.